Straight from the sea. 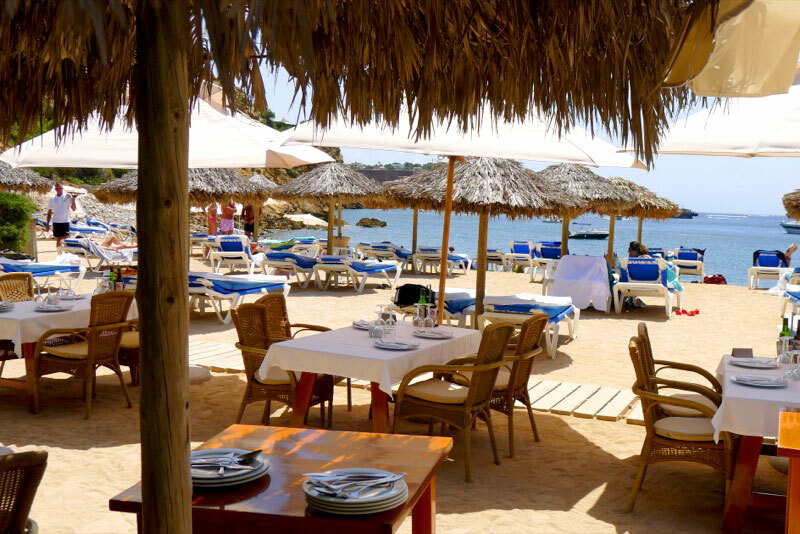 Restaurants by the beach with dinghy service in Ibiza. 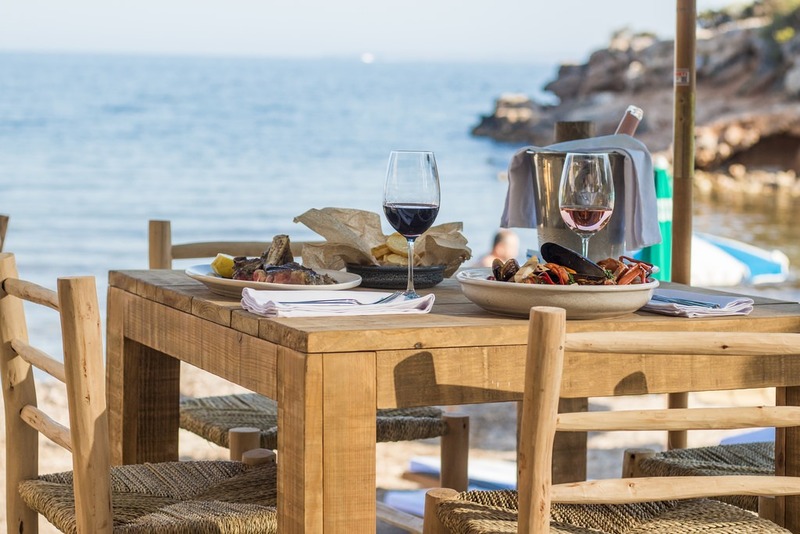 The increasing demand for luxury boats and services in Ibiza has led to the development of a high-quality gastronomic offer directly on the beach. Restaurants by mooring points or beach clubs with dinghy service and VHF channel to contact them directly from the boat radio. 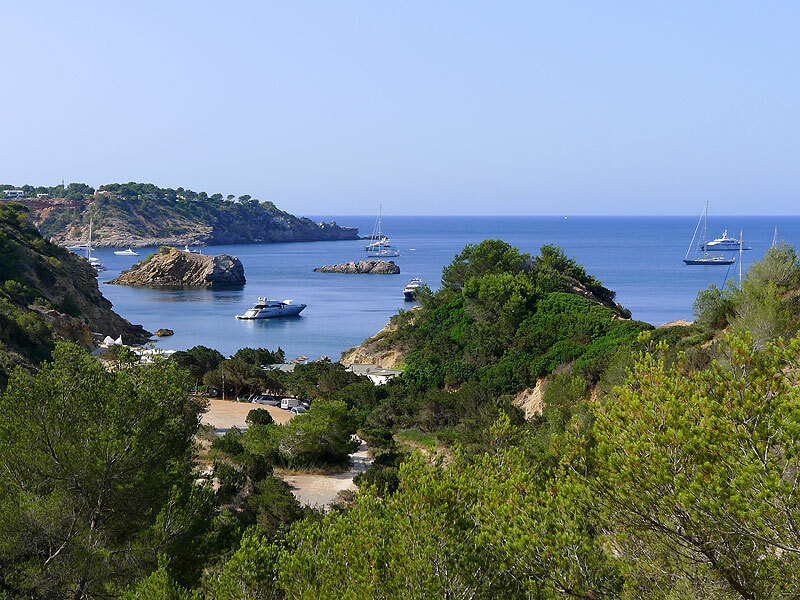 As a company specialised in Ibiza boat hire, we want to recommend you some of our favourite places, accessible directly from the sea, to dine on the island. An ideal place to relax on Ibiza’s beach. Tropicana Beach Club is located in Cala Jondal, to the south of the island. A place with enviable views that is easily accessible both by foot and from the sea, as the high cliffs near the beach ensure calm waters for a good anchorage. Sophisticated and quiet, it has an excellent service – to transport guests to land from their yachts or delivering orders directly to the boat – and offers exquisite traditional Ibizan and seafood cuisine as well as Mediterranean and international cuisine. 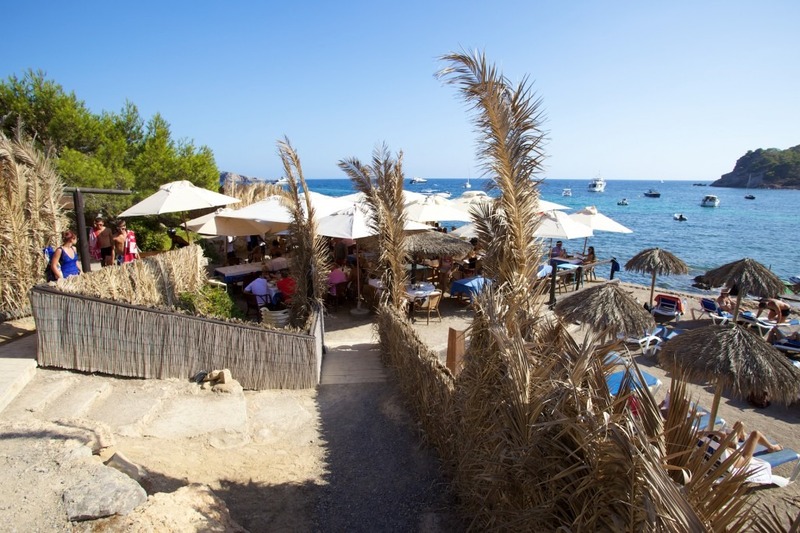 Hidden in Ses Boques, a small cove on the south of the island, this restaurant serves fresh, high-quality seafood in one of the most paradisiacal corners, overlooking Formentera. Open to the public from mid-June on, it offers delicious fish and rice in a rustic and authentic bar that you should not miss. White sands, turquoise waters and century-old ‘sabinas’ that provide shade to the establishment. 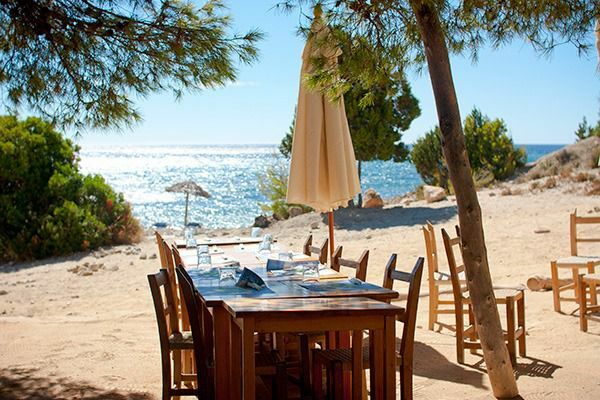 Located in a calm setting, on one of the most beautiful coves on the island, the CBbC restaurant offers a very varied menu with fresh products from the island. A unique gastronomic experience that offers a fusion menu with up to five different types of cuisine: gourmet bar, gastronomic restaurant, Mediterranean restaurant, sushi and snack bar. Located on a remote beach in Ibiza, on an abrupt corner of the south coast, Es Torrent is a unique place on the beautiful Porroig bay. Specialised in fresh fish and seafood, this establishment has become over the years the most exclusive fish restaurant on the island. If enjoying the authentic flavours of the Mediterranean under the shade of the ‘sabinas’ is what you’re looking for, Es Torrent is definitely your place. 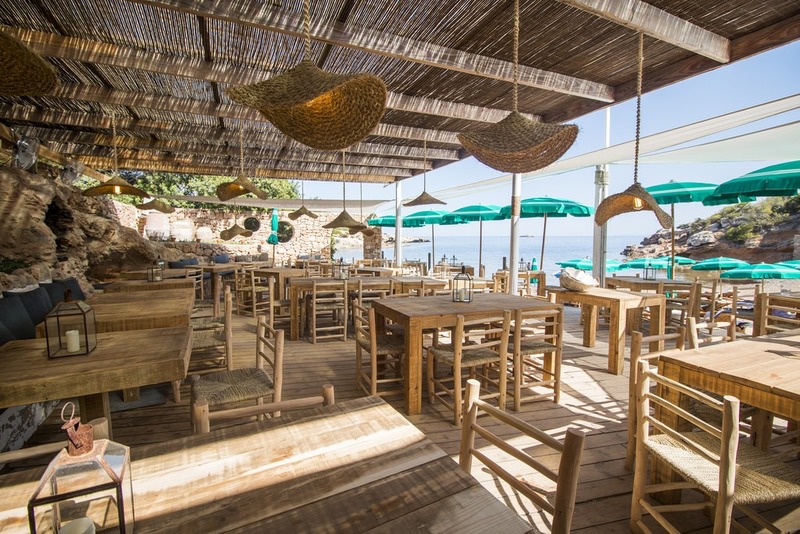 In an enviable natural environment, on the remote cove of S’Estanyol, one can find Cala Bonita; the same beach that gives name to this pure Ibizan style haute cuisine restaurant. Open from June on, Cala Bonita is the ideal place to relish its elaborate menu, which fuses Spanish, African, Italian and Moroccan products. A dream location on an ideal cove for anchoring. Es Xarcu, a sailor’s rustic bar, is recognised for its high-quality products: its fresh fish, fresh red shrimp and its freshly sliced Spanish ham. Modest but excellent cuisine in a quiet and beautiful setting. 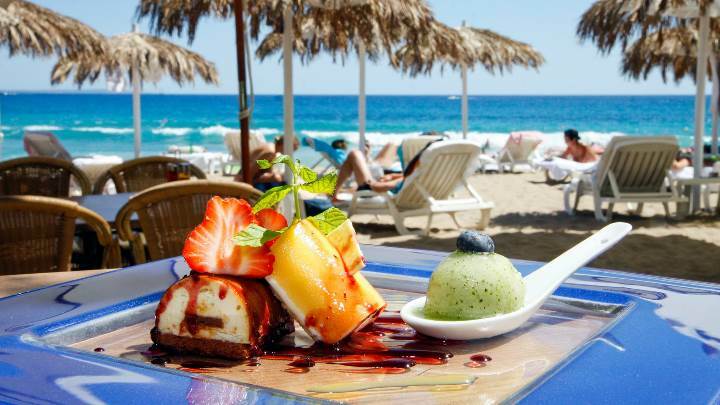 Ibiza is full of restaurants from which to enjoy fresh and quality dishes. One just has to know where to find them and take advantage of our charter possibilities to access them directly from the sea. As specialists in Ibiza boat hire, we will be more than happy to recommend you more establishments by the beach and inform you about the best boat to get to them.